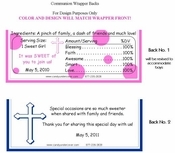 This beautiful and trendy First Holy Communion Chocolate Bar Wrapper is so colorful and festive! Pretty pink with pretty flowers makes this girly Candy Cover a fun Communion Favor! 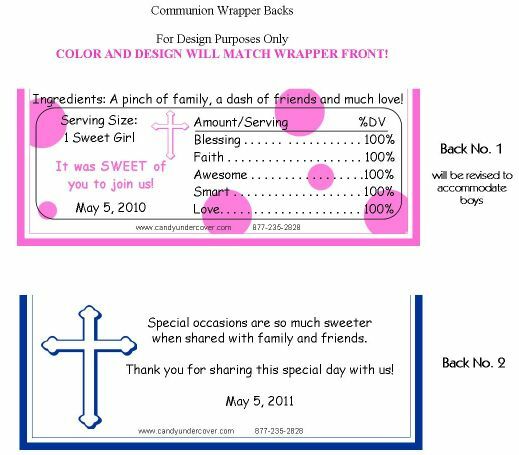 This wrapper had a pretty pink cross, along with your child's name.